Ueno Park is a popular place to visit any time of year, thanks to its well-known zoo and popular shopping areas. 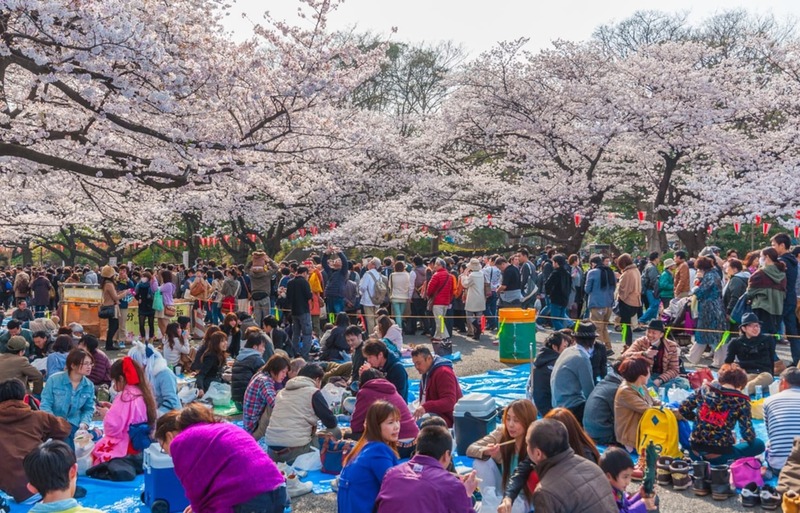 But locals and visitors alike flock to this location during cherry blossom season to enjoy the scenery and concessions. Beyond the gorgeous blooms, visitors can enjoy the park's many concessions, like sakura-flavored ice cream!